It is with much sadness that we report the passing of IPA Hall of Famer, Chet Schafer. Chet was inducted into the International Polka Association’s Hall of Fame in 1976, and played a vital role in bringing polka music entertainment to the masses in the Chicagoland area and beyond. 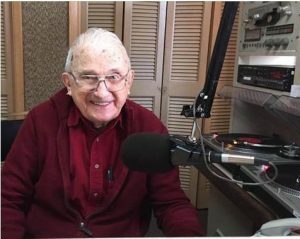 Polka Radio personality, Music producer, Singer, Dancer, were just a few of the accolades associated with Mr. Schafer. His great wit, charm and personality will be missed. Rest in Peace to the “Dean of Radio Broadcasting”. For Chet Schafer’s complete I.P.A. Hall of Fame biography, click here.